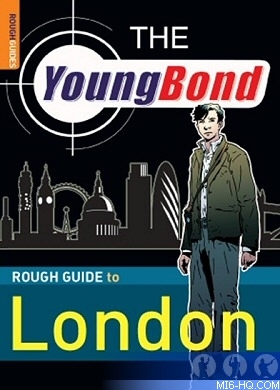 MI6 has ten copies of the new Young Bond Rough Guide To London book to give away to lucky readers, with one special copy signed by author Charlie Higson. This special edition book is only available to purchase with the Guardian, distributed in London and the South East on Saturday 7th April. Which character runs the Danger Society that Young Bond is a member of? The competition closes at midnight on 1st May 2007. MI6 will choose the winners at random from the correct answers received. The winners will be contacted via the email address supplied and their postal address will be requested. If a winner fails to respond within 7 days of prize notification, another winner will be chosen until all prizes are allotted. Competition is open to all MI6 readers worldwide.